Brightline took another major step forward Wednesday when the Florida Development Finance Corporation approved its request to issue $1.75 billion in private activity bonds. The bonds will finance rail infrastructure in five counties: Miami-Dade, Broward, Palm Beach, Brevard and Orange. While the service is already up and running from Miami to West Palm Beach, Brightline is preparing its route to Orlando, including new tracks from Cocoa to Orlando International Airport. Private activity bonds are designed for private infrastructure projects, such as Brightline, that offer a public benefit, Brightline said in a press release. They are not backed by the federal, state or local governments and pose no risk to taxpayers. The bonds may only be purchased by qualified, private investors who must perform their own due diligence. With all material permits in place, Brightline expects to start construction on Phase 2 to Orlando this year. Brightline’s station in Orlando will be located at the Orlando International Airport’s new Intermodal Terminal Facility that will be the hub of the future South Terminal complex. The Orlando expansion is slated to open in 2021. 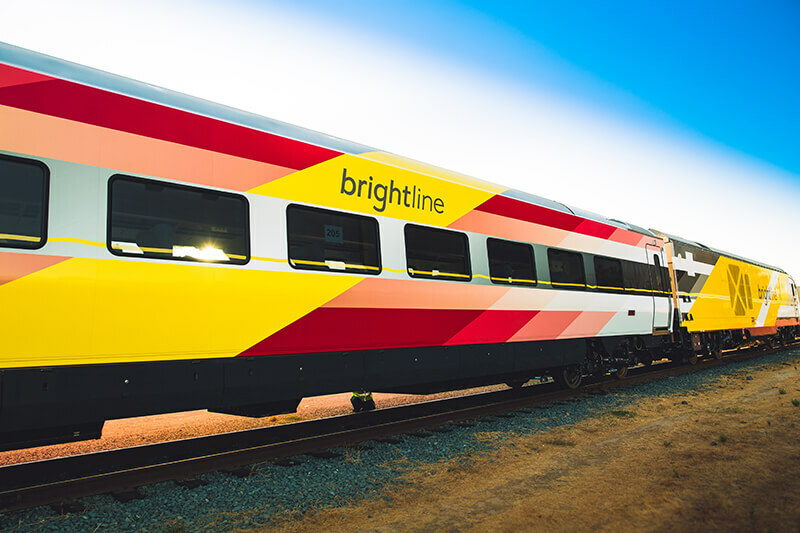 Brightline is engaged in an RFP process with the Florida Department of Transportation to extend the system to the Tampa Bay region.